Objectives We sought to determine whether interventions that target work organization or the psychosocial work environment are effective in preventing or reducing work-related musculoskeletal disorders (WMSD) compared to usual work. Methods We systematically reviewed the 2000–2015 English- and French-language scientific literature, including studies evaluating the effectiveness of an organizational or psychosocial work intervention on incidence, prevalence or intensity of work-related musculoskeletal pain or disorders in the neck, shoulders, upper limbs and/or back or of work absence due to such problems, among non-sick-listed workers. We excluded rehabilitation and individual-level behavioral interventions and studies with >50% attrition. We analyzed medium- and high-quality studies and synthesized the evidence using the Grading of Recommendations Assessment, Development & Evaluation (GRADE) approach. An analysis of key workplace intervention elements supplemented the interpretation of results. Results We identified 884 articles; 28 met selection criteria, yielding 2 high-quality, 10 medium-quality and 16 low-quality studies. There was moderate evidence that supplementary breaks, compared to conventional break schedules, are effective in reducing symptom intensity in various body regions. Evidence was low-to-very-low quality for other interventions, primarily due to risk of bias related to study design, high attrition rates, co-interventions, and insensitive indicators. Most interventions lacked key intervention elements, such as work activity analysis and ergonomist guidance during implementation, but the relation of these elements to intervention effectiveness or ineffectiveness remains to be demonstrated. Conclusions Targeting work–rest cycles may reduce WMSD. Better quality studies are needed to allow definitive conclusions to be drawn on the effectiveness of other work organizational or psychosocial interventions to prevent or reduce WMSD. Musculoskeletal disorders represent a considerable human and economic burden; lower back and neck pain were the leading global cause of disability in most countries in 2015 (1). In Quebec (QC), Canada, in 2007–2008, one in five workers reported disabling work-related musculoskeletal symptoms and 7% had a work absence due to such symptoms (2). In Canada, in 2012, costs of compensated work injuries and illnesses exceeded CAN$11 billion (3). Despite considerable underreporting of work-related musculoskeletal disorders (WMSD) to workers’ compensation (4), WMSD account for 33–43% of these compensation cases (5–7). WMSD refer to non-traumatic inflammatory or degenerative disorders of the musculoskeletal structures of the neck, back, upper or lower extremities that develop over time, as a result of cumulative micro-trauma from biomechanical or other work exposures, arising when the adaptive and repair capacities of affected structures have been exceeded (8). Several systematic reviews of longitudinal etiologic studies have shown that, in addition to biomechanical exposures and personal factors, psychosocial and organizational work factors, such as high work demands, low decision latitude, low coworker or supervisor support or an effort–reward imbalance, also contribute to the onset of WMSD (8–13). This may occur through stress-induced increases in muscle tension (14), increased serum cortisol levels and changes in soft tissues, alterations in inflammatory and immune responses, tissue hypoxia, and delayed wound healing (15, 16). Various organizational or psychosocial factors may also contribute to WMSD indirectly by influencing the intensity or duration of biomechanical exposures. Stock et al (17) have proposed a model of the complex relations between biomechanical, psychosocial and personal risk factors and psychological distress in the genesis of musculoskeletal disorders. Despite their role in WMSD development, organizational and psychosocial work factors are not well integrated into WMSD prevention programs (18, 19). This contrasts with the consideration that is given to biomechanical determinants (eg, repetition, force, awkward postures, vibration). Work organization refers to the way in which work is designed and performed. It includes the distribution of work tasks, production methods, work pace, management, scheduling, remuneration, and training practices and policies (20, 21). The psychosocial work environment is the product of an interplay between the working conditions, including cognitive, social and emotional work demands, and the perceptions of these conditions by the worker (eg, intensity of work demands, decision latitude, support from coworkers or supervisors, recognition of worker efforts, emotionally demanding work, cognitive demands, workplace sexual and other harassment) (22, 23). In this review, we include the full range of such factors when we refer to “organizational and psychosocial factors”. Little evidence regarding the effectiveness of work organizational or psychosocial interventions to prevent WMSD is available to guide prevention efforts. Bongers et al concluded that “few randomized or non randomized controlled trials have been carried out to evaluate the effectiveness of interventions to improve work-related psychosocial factors. Very few have reported on the preventive effect for work-related neck and upper limb symptoms”. (13, p296) Driessen et al (24) concluded on the lack of randomized controlled trials (RCT) on organizational interventions to reduce low back and neck pain. There are few reviews on this topic, and these did not apply a systematic review methodology (13), grouped in their synthesis interventions both with and without an organizational/psychosocial component (eg, workstation adjustments only) (13, 24) or were restricted to specific groups of workers (eg, shift workers) (25). It is also useful to review more recent intervention studies published since these previous reviews. Our goal was to review the contemporary occupational intervention literature systematically in order to answer the following research question: compared to usual work activity (ie, no intervention), are workplace interventions that target work organization or the psychosocial work environment effective in preventing the onset of or reducing the incidence, prevalence or intensity of work-related musculoskeletal pain or of musculoskeletal disorders of the back, neck, shoulders, or distal upper limbs, or incidence, prevalence or duration of work absence/disability due to such pain or disorders among non-sick-listed workers? We hypothesized that interventions that target work organization or the psychosocial work environment, by mitigating harmful workplace exposures known to contribute to WMSD, should prevent or reduce adverse musculoskeletal health outcomes. In our definition of workplace interventions to prevent or reduce WMSD, we include those that seek to reduce biomechanical exposures through changes in work organization and those that specifically seek to reduce work organizational or psychosocial exposures. We also hypothesized that interventions would be more effective in reducing WMSD if they included key elements of the intervention process identified by St-Vincent et al (26, 27). These authors have proposed a model for workplace interventions that describes the approach to be taken by the intervention team, guided by an ergonomist, to produce desired changes, including needs identification, work activity analysis, identification of risk factors and their determinants, identification and implementation of solutions with workplace stakeholders and their follow-up. This model is based on broad ergonomic principles and practices developed in Quebec, Canada, and France (28, 29) that has influenced ergonomic practice and professional training in these jurisdictions. At the heart of this approach is the concept of work activity and the differences between prescribed and real work (30). This activity-oriented approach places importance on the inter- and intra-individual variability in work activity. Through observations and interactions with the workers, the ergonomist seeks to understand how the worker constructs their work activity to attain work goals given available resources and constraints. Work activity analysis is more complex and multidimensional than “job analysis” or “task analysis” referred to by ergonomists or researchers in other countries, taking into account physical, psychological, cognitive and social dimensions of work as well as identifying the larger economic, social and organizational context that influences it. Although guided by the ergonomist, the process is done in a highly participatory fashion in collaboration with workers, managers and other key actors in the workplace who also participate in the identification of solutions and their implementation (28). Our research team identified 12 key elements of workplace intervention described in the St-Vincent et al model (26, 27). The effectiveness of the St-Vincent et al intervention model on preventing or reducing WMSD has not been evaluated in rigorous epidemiological studies; therefore, we did not use the 12 key elements of workplace intervention in assessing the methodologic quality of studies or in evidence synthesis. However, looking at whether interventions included or lacked these intervention process elements may be useful in understanding some of the possible reasons of intervention effectiveness or ineffectiveness, and this aspect of the analysis was therefore part of results interpretation. A systematic review methodology was used to address the research question using methods to reduce bias in gathering, summarizing, and reporting research evidence, following approaches outlined by the Centre for Reviews and Dissemination (31), with its chapter 3 focus on public health interventions, and The Cochrane Collaboration (32). The research team included practitioners and knowledge users, as well as researchers with content and methodologic expertise. Members of the team were consulted and/or participated in each step of the review process. This systematic review was not registered. We searched for English- and French-language peer-reviewed scientific articles published between 2000–2015 in 11 electronic databases: Medline (2000–October week 3 2015) & Medline In-Process & Other Non-Indexed Citations (2000–December 11 2015), Excerpta Medica Database (EMBASE, 2000–October 15 2015), EBM Reviews/Cochrane Library (Cochrane Central Register of Controlled Trials 2000–September 2015, Health Technology Assessment 2000–3rd Quarter 2015, NHS Economic Evaluation Database 2000–2nd quarter 2015, ACP Journal Club 2000–September 2015, Cochrane Methodology Register 2000–3rd quarter 2012, Cochrane Database of Systematic Reviews 2005–November 2015, Database of Abstracts of Reviews of Effects 2000–2nd quarter 2015), Cumulative Index to Nursing & Allied Health Literature (CINAHL), PsycINFO, Psychology & Behavioral Sciences Collection, SocINDEX and Ergonomic Abstracts (all five databases 2000–December 31 2015), CISILO, INRS-Bibliographie and HSELINE (all three databases 2000–December 2015). In addition, we manually searched the reference lists of reviews identified through the bibliographic database search and of primary studies meeting the selection criteria below, and consulted content experts in identifying other potentially relevant studies. The search combined terms using Boolean logic from four broad concepts: “Psychosocial or organizational interventions”, “Evaluation of effectiveness”, “Musculoskeletal disorders” and “Workplace”. Terms from a fifth concept relating to “Review” were added to the search strategy to identify existing literature reviews. The search strategy and syntax for each database was developed in collaboration with a librarian with expertise in bibliographic searches in occupational health. A detailed example of a search strategy is provided in supplementary table S1 (www.sjweh.fi/show_abstract.php?abstract_id=3696). Two reviewers independently screened titles and abstracts for relevance, and resolved disagreements through consensus. The full paper of those meeting initial selection criteria was retrieved; the same two reviewers confirmed the relevance of all studies upon reading them in full, and discussed points of disagreement to arrive at consensus. We included studies that met the following criteria: they reported on an intervention in the workplace to prevent or reduce WMSD among active, non-sick-listed workers that included a work organizational component or targeted organizational or psychosocial exposures, evaluated the effectiveness of the intervention, and assessed a musculoskeletal health outcome (incidence, prevalence or intensity of work-related musculoskeletal pain or specific disorders in the neck, shoulders, upper limbs and/or back or incidence, prevalence or duration of work absence/work disability due to such pain or disorders). We did not restrict selection by research design. Applying RCT designs to complex workplace-based interventions may often not be possible; moreover ensuring appropriate control groups who undergo similar co-interventions and changes in contextual factors throughout trials that last many months and only differ with respect to the intervention studied is also a major methodologic challenge even when randomized designs are implemented (33, 34). Nonetheless limitations in study design were very much taken into account in the assessment of methodologic quality and evidence synthesis. We excluded interventions that recruited WMSD-disabled workers for rehabilitation or return-to-work interventions. We also excluded individual-level and behavioral interventions consisting solely of worker training/education, or behavioral strategies to reduce anxiety or psychological distress or to improve worker fitness through measures such as relaxation techniques or physical exercise. Studies in which more than half of the participants were lost to follow-up were also excluded, as we considered that such a high level of attrition would seriously compromise the validity of the conclusions on effectiveness of the intervention. Studies that met our selection criteria were assessed for bias according to 15 methodologic quality criteria developed by the research team and, in part, adapted from Rivilis et al (35) and Brewer et al (36). These criteria are listed in table 1; they address various sources of bias, including study design, selection and attrition bias, measurement bias and bias from confounding factors, co-interventions and contextual factors. Each criterion was rated 0, 1, or 2 points, for a maximum total score of 30 points. All reviewers participated in discussions on interpretation and clarification of these ratings to promote inter-rater reliability. The higher the score, the lower the risk of bias, and the higher the quality of the study. All studies were independently rated by two reviewers; disagreements were resolved through consensus or, if consensus was not reached, by consulting a third reviewer. Inter-rater agreement was not calculated. Scores were converted to percentages, and studies grouped into low (0–50%), medium (51–79%), and high (80–100%) quality categories. A low-quality rating reflects important methodological limitations, such that any reported musculoskeletal benefits could be attributable to factors unrelated to the intervention. Therefore, only medium- and high-quality studies were retained for data extraction and analysis. 1. Was the research question or study objectives clear and explicitly stated? 3. Were study participants randomly assigned to the control or intervention group? If study participants were not randomly assigned were workers’ baseline sociodemographic, occupational exposure, and musculoskeletal health outcome characteristics measured? 4. Were relevant occupational exposures measured before (at baseline) and after (at follow-up) the intervention? 5. Were occupational exposure measures appropriate, valid, reliable and sensitive to change? 6. Was the musculoskeletal health outcome measured before (at baseline) and after (at follow-up) the intervention? 7. Was the musculoskeletal health outcome measure appropriate, valid, reliable and sensitive to change? 8. Was the length of follow-up after the end of implementation of the intervention appropriate? 9. Was study participation rate after recruitment documented and adequate for the experimental and control groups? 11. Were the participants who dropped out of the study (drop-outs) comparable to those who completed the study (completers)? 12. Was implementation of intended changes documented and were changes implemented as intended? 13. Were potential confounders of the musculoskeletal health outcome (eg, age, exercise, previous musculoskeletal injuries, smoking) considered and properly taken into account in the analysis (eg, adjustment, stratification) or interpretation of results? 14. Were contextual factors and co-interventions that could influence the results taken into account in the analysis or in the interpretation of the results? 15. Was the statistical analysis appropriate for measuring the effectiveness of the intervention? For each medium- and high-quality study, we extracted information from the primary studies and companion papers by the same authors of the same study, on authors, year of publication, country of research, study population, study design, response rate at recruitment and loss to follow-up rate, intervention, types of changes, duration of intervention and timing of follow-up, compliance and/or degree of implementation of changes, measures of work exposures and/or musculoskeletal health outcomes, measurement of confounding factors, co-interventions and contextual factors and how or whether they were taken into account, statistical analysis, and effect of the intervention on work exposures and/or musculoskeletal health outcomes. We also documented the presence or absence of the 12 key elements of the St-Vincent et al (26, 27) workplace intervention model. The information extracted by one author in a standardized data extraction form was confirmed by a second author, and analyzed. In order to ensure meaningful conclusions about effectiveness, interventions were grouped into four categories according to similarities in the actions taken to develop and/or implement changes. We report change in the musculoskeletal indicator from baseline to final follow-up in the intervention versus control group/condition, for each musculoskeletal outcome within a study (there could be more than one). If a study reported measurements at the 6- and 12-month follow-up, we retained only the latter. Because of heterogeneity in outcome measures within intervention categories, or because necessary data was missing, it was not possible to pool results for meta-analysis. For each intervention category, we synthesized the evidence of effectiveness of the intervention for each musculoskeletal outcome of interest measured in the studies. The quality of the evidence was rated as high, moderate, low, or very low using the Grading of Recommendations Assessment, Development & Evaluation (GRADE) approach (37–43). These ratings reflect our confidence in effect estimates and the level of certainty that they are close to the true intervention effect on the musculoskeletal outcome. For example, a high-quality rating indicates that we are very confident that the true effect lies close to the estimate of the effect; while a low-quality rating indicates that the true effect may be substantially different from the estimate of the effect (44). Evidence based on randomized trials starts as initially high-quality evidence in GRADE, but can be rated down by one or two levels for risk of bias (methodologic limitations), inconsistency (inconsistent results with respect to direction of results or relative effect size across studies), indirectness (lack of generalizability of results with respect to the population, the intervention or the outcomes), imprecision (with respect to the confidence intervals of the difference in effect between the intervention and the control for each outcome) and/or risk of publication bias (37–40). Evidence from observational studies is initially rated as low-quality evidence, but in the absence of any serious limitations, can be rated up, if for example, the body of evidence presents very large effects or marked dose-response relationships (42). As recommended by Guyatt et al (45) and Balshem et al (44), we made an overall assessment of quality of the evidence based on the five GRADE criteria, identifying which criterion most influenced the assessment and which others contributed to the assessment, rather than systematically deduct one point for each criterion that was not met. When published findings were negative (ie, an intervention was ineffective), we considered the risk of publication bias to be low. We followed PRISMA guidelines for the reporting of systematic review results (46). Figure 1 presents detailed results of each phase of the search and reasons for excluding studies. The search identified 884 records. After eliminating studies that did not meet the selection criteria, 28 studies were included for methodologic quality assessment. When two papers reported on the same intervention, they were analyzed as one study, as was the case for Haukka et al (47, 48), Driessen et al (49, 50) and the papers by Ronald et al (51) and Chhokar et al (52). One article by Faucett et al (53) reported two distinct studies, and these were analyzed separately. b Additional records were identified in the bibliographies of primary studies or reviews. Expert consulting did not yield new records. c The number of duplicate records is unknown, as the web interface used to probe some of the databases automatically eliminates duplicates during the search. Results of the methodologic quality appraisal of studies are presented in the last column of table 2. The detailed assessment for each of the 15 methodologic quality criteria is in supplementary table S2 (www.sjweh.fi/show_abstract.php?abstract_id=3696). Two studies were assessed as high-quality, 10 as medium-quality and 16 as low-quality studies. Only 11 of the 12 high- and medium-quality studies were retained for evidence synthesis. A study targeting the work-rest cycle by shortening workweek hours (54) was excluded from further analysis and evidence synthesis because an important proportion of subjects were part-time workers (55%) with an already shortened workweek, and therefore the capacity of the study to measure the effects of work hour reduction was judged to be considerably compromised. [i] a Data estimated from Figure 1 of original study. [ii] b Data estimated from Figures 4-7 of original study. [iii] c Data estimated from Figures 2A & 3A of original study. [iv] d Data estimated from Figure 3 of original study. [v] e Data estimated from Figure 4 of original study. Among the 11 medium- and high-quality studies, we found four types of interventions: (i) Four studies examined interventions targeting the work-rest cycle through five-minute supplementary pauses (53, 55) or through 30-second micropauses (56). (ii) Four studies were multi-component complex interventions that sought to identify musculoskeletal disorder risk factors and identify and implement solutions in a participatory process with workers and managers; three of these were participatory ergonomic (PE) interventions in which groups of workers were trained to analyze work demands, identify WMSD risk factors and propose and implement solutions to reduce the physical and psychosocial workload (47–50, 57); in the fourth study, researchers identified psychosocial work factor risks by questionnaire, followed by the setting of intervention priorities with worker focus groups, and presentation of solutions to managers, who decided on the implementation of proposed solutions (58). (iii) Two studies reported on interventions with an organizational component to reduce patient handling in a hospital setting through the adoption of safe patient handling policies or programs, worker training and access to patient lifting equipment (59, 60). (iv) Another study included three intervention arms providing feedback about computer workstation set-up and psychosocial aspects of work to promote worker motivation to make changes: feedback was provided to workers individually, to supervisors individually or to groups of workers and their supervisor (61). A description of the 11 studies included for analysis and evidence synthesis is presented in table 2 and supplementary table S3 (www.sjweh.fi/show_abstract.php?abstract_id=3696). Two RCT (53) provided moderate evidence that interventions targeting the work-rest cycle through supplementary pauses are more effective than conventional break schedules in reducing the intensity of symptoms, based on a composite measure that takes into account all body regions. This evidence was rated down by one level due to indirectness: the assessment of pain at the end of two or three days of work is an indirect measure of the risk of development of a musculoskeletal disorder or longer-term musculoskeletal pain. Two RCT (55, 56) provided moderate evidence on the effectiveness of such interventions on musculoskeletal symptom intensity separately for the neck, back, shoulder/upper arm and forearm/wrist/hand outcomes (table 2). This evidence was rated down by one level due to the serious risk of bias from high attrition in one of the studies (55) (43% loss to follow-up, with no comparison of the characteristics of study completers and drops-outs) and failure to take in account any confounders in the other study (56). There was low-quality evidence from two RCT (47, 48, 50, 62) that PE interventions that trained worker groups to analyze work and propose solutions are not more effective than work activity as usual in reducing the three-month prevalence of neck pain and low-back pain. We rated the quality of this evidence down by two levels because of very serious risk of bias related to attrition (>30% loss to follow-up in both studies), insensitivity to change of the musculoskeletal indicators, especially in light of the low baseline pain severity scores in the populations (these ranged from 1.7–2.2 on scales of 7 or 11, see table 2), the low implementation rate, and the presence of major co-interventions and changes in contextual factors (see supplementary table S3). For example, in one study (47, 48) there was an unplanned major organizational reform, whereby food preparation was no longer carried out in half the targeted workplaces but moved to large centralized production kitchens for distribution by other kitchens. This co-intervention drastically modified the nature of the work and working conditions in half the participating workplaces and resulted in a worsening of psychosocial work factors for workers who underwent the intervention and reform (eg, increased hurry at work, decreased supervisor support, see supplementary table S3). One RCT (50, 62) and one non-randomized trial (57, 63) provided low-quality evidence that PE interventions are not more effective than work activity as usual in reducing the intensity of back pain. We penalized this evidence by two levels for very serious risk of bias from attrition (>30% in both studies), the low implementation rate, and presence of co-interventions and changes in contextual factors (see supplementary table S3). The quality of the evidence was low with respect to the intensity of neck pain, based on one RCT (50, 62), very low for the intensity of shoulder/upper arm pain or forearm/hand pain, based on one non randomized trial (57, 63) and low for the intensity of any musculoskeletal trouble caused by pain, based on one RCT (47, 48). In all three cases, the evidence was penalized due to very serious risk of bias owing to attrition and the presence of important co-interventions and changes in contextual factors that influenced outcomes, and additionally for the first two cases, due to the low implementation rate. One RCT (50, 62) provided low-quality evidence that PE intervention is not more effective than usual practice in reducing the number of days with any musculoskeletal pain. We rated the quality of this evidence down by two levels due to very serious risk of bias associated with attrition, the low implementation rate and presence of important co-interventions & changes in contextual factors. One RCT (47, 48) provided low-quality evidence that PE intervention is not more effective than work as usual in reducing the three-month prevalence of musculoskeletal sick leave. The evidence was downgraded by two levels owing to very serious risk of bias due to attrition, presence of important co-interventions and changes in contextual factors. One before–after uncontrolled study (58) provided very low-quality evidence that a participatory organizational intervention targeting psychosocial work exposures was more effective than work as usual in reducing the six-month prevalence of neck/shoulder and lower back pain with functional limitations. It provided very low-quality evidence that this type of intervention was not more effective than usual work in reducing the six-month prevalence of upper-limb pain with functional limitations. This observational evidence, which is initially low-quality, was penalized by one level due to the serious risk of bias from the presence of an ergonomic co-intervention put in place during the study that may have affected postural risk factors and lack of information about attrition (supplementary table S3). The quality of the evidence was very low that a hospital-based program – promoting unit-level safety through a unit safety audit, safe patient handling training, and guidelines to strengthen worker collaboration in moving patients and improve access to and compliance with use of patient-handling equipment – is not more effective than usual practice in reducing the three-month prevalence of neck/shoulder pain, forearm/wrist pain, lower back pain and musculoskeletal pain in any body region. In all cases, the evidence was based on a single before–after uncontrolled study (59), thus initially low-quality evidence, and was rated down by one level for serious risk of bias from lack of any control group and use of an insensitive musculoskeletal outcome measure. One RCT (60) provided low-quality evidence that a safe lifting program is more effective than usual practice in reducing the frequency of work-related shoulder pain and of work-related low back pain after 12-month follow-up (see table 2). The safe lifting program focused on reducing manual lifting through training on safe lifting and the use of equipment (one mechanical total body lift and two large and four small sliding devices available per ward, transfer belts in each room). The same RCT (60) provided low-quality evidence that a no-strenuous lift program is not more effective than usual practice in reducing the frequency of work-related shoulder and low back pain after 12-month follow-up (see table 2). The no-strenuous lift program focused on eliminating manual lifting by providing each ward access to multiple new mechanical total body lifts and sit-stand lifts, with sliding devices for each room. Compliance with the use of the mechanical devices was high at 6 months but declined by 12 months (see supplementary table S3). In both cases, the evidence was rated down by two levels for very serious risk of bias related to the lack of consideration of confounding factors, undocumented changes in contextual factors, and reduced compliance at 12 months. The same RCT provided low-quality evidence that neither the no-strenuous lift program nor the safe lifting program was more effective than usual practice in improving upper extremity or back-related functional status. For each of these outcomes, the evidence was rated down by two levels for very serious risk of bias related to the lack of consideration of confounding factors, undocumented changes in contextual factors and reduced compliance at 12 months. Based on the same RCT as above (60), the quality of the evidence is low that safe-lifting and no-strenuous -lift programs are not more effective than usual practice in reducing compensated musculoskeletal work injury rates and time loss injury rates. This evidence was rated down by two levels for very serious risk of bias related to the lack of consideration of confounding factors, undocumented changes in contextual factors and reduced compliance at 12 months. Because of the low to very-low quality evidence for these patient handling interventions, we cannot conclude on their effectiveness or ineffectiveness to prevent or reduce WMSD. One RCT (61) provided low-quality evidence that three computer work intervention arms – providing feedback on computer work set-up and psychosocial work conditions to (1) individual workers, (2) only to supervisors or (3) to a collective group of workers and their supervisor – are not more effective than no feedback (work as usual) in reducing the one-month prevalence of any musculoskeletal pain. We penalized the evidence by two levels for very serious risk of bias due to possible contamination of control groups, lack of documentation of changes in contextual factors, lack of sensitivity to change of the musculoskeletal indicator and inclusion in analyses of subjects who were absent for the intervention. Table 3 summarizes our evaluation of the presence of 12 key workplace intervention elements in the 11 retained studies. a Social, organizational and economic contextual factors of the company that may influence the intervention must be taken into account throughout the intervention process, so that the intervention can be adapted should any co-interventions or relevant changes in contextual factors arise, or at the very least, so that these may be taken into account during analysis or results interpretation. b Participatory implies with input from and in concert with workers, managers and other relevant actors (eg, engineers, maintenance personnel, occupational health professionals). Overall, all intervention studies sought to mitigate exposure to workplace risk factors (key element 1), all identified the changes that were to be implemented or gave examples of these (key element 10), and most of the studies had workers participate in the selection and implementation of changes (key element 11). However, few interventions included or documented a needs analysis and stakeholder viewpoints (element 2), or took into account the social, economic and organizational context of the company (key element 3). An exception is the study by Faucett et al (53). Here, authors considered the cultural, linguistic and low literacy characteristics of their agricultural workers when developing their musculoskeletal symptom questionnaire (64). They also documented the fact that work was fast paced because of the need to preserve fragile commodities and that there was an incentive piece rate pay system, which could cause workers to skip breaks. Therefore, they chose to signal the rest break with a whistle, and asked farm workers to stop their work. Only the three PE interventions included and documented key element 4 (participatory selection of work situations to be analyzed). For example, in Haukka et al (47, 48), each kitchen selected two or three work tasks that the workers considered physically demanding. In Driessen et al (50, 62), there was an inventory of the workplace, during which each worker of the working group took pictures of risk factors for low back and neck pain at the worksite that were to be discussed at a subsequent group meeting and prioritized based on consensus. Most notably, none of the studies carried out in-depth work activity analysis (elements 5 to 9). Most of these elements were lacking or inadequate in most studies including all three PE interventions. For example, an ergonomist conducted a worksite observation through checklist in Driessen et al (50, 62) (key element 7), and sent a summary of the observations to the working group (key element 8). But there was no in-depth analysis of work activity or interviews with workers (key elements 5 and 6), and the ergonomist appears not to have participated in the consensus reached by the working group on the work demands and their determinants to be targeted for intervention (key element 9). Finally, in most studies, there was either no or little guidance during the implementation of change projects (key element 12), the role of the ergonomist or intervention specialist being limited to monthly check-ins (59), a single visit to each worksite and a phone call (47, 48) or follow-up only at the end of the study to collect data (61). In other instances, implementation was solely the responsibility of the workplace (58) or of workers within ergonomic change teams called “implementers” (50, 62). We found moderate evidence that supplementary breaks are more effective than a conventional break schedule in reducing the intensity of symptoms in the neck, shoulder, upper limbs and back or a combination of these. It is noteworthy that supplementary breaks did not negatively impact productivity (see supplementary table S3), and were effective across varied settings (agricultural versus office workers) and intervention characteristics (5-minute versus 30-second pauses), arguing for the potential generalizability of this result. Interestingly, the workers studied for this category of interventions were primarily in precarious work (immigrant agricultural workers, short-term contract office workers) hired to do highly repetitive work, groups thought to be at high risk of WMSD, and in need of more research attention. Further research will need to study whether such rest breaks are effective in other work settings, for example in manufacturing, food processing or assembly work, and what contextual factors influence effectiveness. The evidence was of low to very low quality for the effectiveness or ineffectiveness of other interventions, many of which suffered from risk of bias related to high attrition rates, confounding factors, co-interventions, and insensitivity to change of outcome measures. Hence, no conclusions or recommendations can be made on the basis of these other studies. The effectiveness of added rest breaks was evaluated by three previous reviews, but they were based on studies slightly different from those evaluated by us. Bongers et al (13) found inconclusive evidence on the effectiveness of added rest breaks for preventing neck and upper limb problems. We rated two of their nine studies low-quality and therefore they were not included in our evidence synthesis (65, 66). Several of their other studies did not meet our selection criteria, either because loss to follow-up was >50% (67) or the publication date was outside the scope of our review. Brewer et al (36) concluded on mixed evidence (inconsistent findings) for the effectiveness of rest breaks among office workers. The only study in common with our review was that of McLean et al (56). The authors’ three other studies either did not meet our selection criteria or were published before the period covered in this review. In their meta-analysis and synthesis using GRADE, Hoe et al (68) concluded on low-quality evidence that supplementary breaks produced no difference compared to conventional breaks in end-of-shift discomfort ratings. Their conclusion was based on two studies by Galinsky and colleagues (55, 67), one of which we had excluded because of the high attrition rate (67). They did not include the McLean study in their meta-analysis as no measure of variance was reported or could be imputed from the study. In addition, we based our synthesis on the mean change in discomfort from baseline to four weeks follow-up rather than end-of-shift discomfort. In a systematic review of the effectiveness of PE interventions (not limited to those targeting work organization or psychosocial work factors), Rivilis et al (35) concluded there was partial-to-moderate evidence of a positive impact on various musculoskeletal outcomes based on 12 studies. None of those studies overlapped with the studies reviewed herein (7 published prior to 2000). We concluded on low- to very low-quality evidence for the effectiveness or ineffectiveness of patient handling interventions. A systematic review of 1980–2009 WMSD prevention interventions in healthcare settings (69) found moderate evidence for the effectiveness of interventions comprised of the following three components: (i) an organizational policy, (ii) lift or transfer equipment purchases, and (iii) ergonomics training in safe-patient handling and/or equipment use. Training alone was found to be ineffective (69). The Yassi et al intervention (60) was the only study appearing in the evidence synthesis of both the present review and that of Tullar et al (69). We excluded two of the other studies that the authors included in their synthesis because of the high attrition rates (70, 71). Five other studies that were common to both reviews were deemed to be of insufficient methodologic quality and were not used in the synthesis of either review (51, 52, 72–74). In addition to differences in the studies evaluated and in the approaches to evidence synthesis, other review authors looking at some of the same studies reviewed here proceeded with different classifications. For example, while we classified the intervention by Haukka et al (47, 48) with other PE interventions, it was classified with “physical ergonomic interventions” in Driessen et al’s (24) systematic review of RCT, based on the preponderance of physical changes that were produced in equipment and workstations (the authors’ other category was “organizational ergonomic interventions”); Krungkraipetch et al (75) classified this intervention study as a “modifier” intervention during evidence synthesis and grouped it with exercise interventions (distinguished from “mechanical exposure interventions” and “production systems/organizational culture interventions”). The divergent classification schemes adopted by authors of reviews render comparisons across reviews difficult, and can lead to different conclusions on effectiveness. Such differences may stem from conceptual and disciplinary differences between ergonomists and epidemiologists, ie, ergonomists define intervention as the entire process leading up to the implementation of solutions and their follow-up; epidemiologists may sometimes restrict the term “intervention” to the evaluation of the effects of the implementation of solutions (76). A high proportion of the studies reviewed had negative results and did not demonstrate improvement in musculoskeletal outcomes. We have already alluded to several potential methodologic explanations for the negative findings in the evaluated studies, such as the presence of important co-interventions, changes in contextual factors, confounding factors, high attrition rates, low implementation rates, and the use of outcome measures not sensitive to change. As well, several of these studies demonstrated that the intervention did not improve or actually worsened physical, organizational and/or psychosocial work demands targeted, as for example, in the three PE interventions (refer to supplementary table S3). Our analysis also showed that many of these interventions lacked or failed to document many of the key elements of workplace interventions proposed by St-Vincent et al (26, 27). Where indicated by the study authors, we retrieved and consulted companion papers for more details on the intervention process (49, 77). But in general, such information was either not provided, perhaps due to journal length restrictions, or the steps were not carried out. If the assumptions of the St-Vincent et al model are correct, and these elements are necessary to implement work changes that will successfully reduce exposure to work demands associated with WMSD and thereby reduce incidence, prevalence or intensity of WMSD, this could partly explain some of the lack of effectiveness of interventions observed. Importantly, it raises the possibility of theory failure (33). In the case of the PE interventions evaluated in this review (all of which failed to improve musculoskeletal outcomes), one could question whether, in theory, PE interventions that rely on workers alone to identify risk factors and identify and implement solutions are an effective approach in producing workplace changes that could potentially lead to musculoskeletal health benefits. Although workers are best suited to describe their own work situation, it is the work of the ergonomist to discern the factors that may influence work activity (eg, organizational context, social climate, age, gender, experience, work shift, etc. ), integrate this complexity in their analysis of work demands and their determinants, as well as to engage company stakeholders and weigh budget, short- and long-term feasibility, and company priorities in order to arrive at a consensus on the most appropriate solution(s). Denis et al (78) critically reviewed the advantages and limits of “complete” versus “turnkey” WMSD intervention approaches, prompting the reader to consider which of these may theoretically be more likely to improve musculoskeletal outcomes. It is hypothesized that complete interventions (similar to the St-Vincent et al approach), with their strong emphasis on work activity analysis and diagnosis of determinants of work demands, though time-consuming, have the power to bring changes to several aspects of work, and the solutions are specific to the work environment, increasing the likelihood of success (78). Turnkey interventions, ie, expert-led quick and reusable ready-made solutions to reduce WMSD, often chosen based on the sector and type of WMSD potentially ignore many relevant risk factors and contextual factors that may influence the impact of the intervention, failing to address the complexity of WMSD; further, the generic nature of the solutions may lead to them being rejected and unsuccessful. It is therefore worth paying attention to the intervention process and how it might influence effectiveness. It would be particularly useful if authors of intervention studies described the intervention in sufficient detail to include all actions and strategies taken by the intervention team throughout their contact with the workplace to develop and implement changes. Authors of intervention studies may also wish to consider using musculoskeletal indicators that are sensitive to change, take into account relevant confounders, document co-interventions and changes in contextual factors throughout the intervention and take them into account in analyses. Our study has several strengths: it is the first systematic review, to our knowledge, to focus on workplace interventions targeting work organization and the psychosocial work environment. Previous reviews looking at work organizational or psychosocial interventions were either not systematic (13), combined in their synthesis interventions both with and without an organizational component (eg, computer workstation adjustments only) (24) or focused on specific groups of workers (25) or body regions (upper limbs) (68). Another strength is the use of an extensive search strategy covering 11 key databases in health sciences, social sciences and occupational health, in both English and French. In addition, we supplemented our main analyses with an analysis of the presence of 12 key workplace intervention elements, which highlight the intervention process. This analysis, among other things, allowed us to bring to light process divergences across interventions and gaps in reporting by authors of intervention studies. But the importance of these divergences and their relation to intervention effectiveness on musculoskeletal outcomes remains to be demonstrated. We recommend that future research study these issues and evaluate the effectiveness of interventions that incorporate the key elements of the intervention model proposed by St-Vincent et al (26, 27) because this approach may potentially lead to advances in prevention of WMSD. Due to time constraints, we did not search “grey literature” (studies published outside of peer-reviewed scientific journals such as dissertations, book chapters, conference proceedings/abstracts, research reports, reports from governmental or non-governmental organizations, etc.). The possibility exists that some studies were missed; the sensitivity of the search strategy was not assessed. Second, although we excluded interventions that specifically recruited injured workers, we did not exclude studies on populations characterized by high pain prevalence at baseline. For example, in Caspi et al (59), the three-month prevalence of low-back and neck/shoulder pain was respectively 62% and 50%, in line with reports among nursing personnel (69). We believe that the inclusion of such populations strengthens the ecological validity of our review, as symptom-free populations are improbable, notably in healthcare settings. However, the inclusion of populations with varying baseline symptom prevalence does increase the heterogeneity among studies. Third, our methodologic quality criteria did not identify studies with “fatal flaws” in the design of the intervention itself, such as the work hour reduction study with a high proportion of part-time workers with already reduced hours (54). This study scored 60% in the methodologic quality appraisal, but in our opinion, did not have the capacity to validly answer the authors’ research question, and was therefore excluded at a subsequent step, prior to analysis and evidence synthesis. Fourth, our review does not allow us to evaluate or comment on the contexts or worker populations in which a specific intervention is likely to be effective or ineffective. Our findings suggest that supplementary pauses may be effective in different contexts. The numerous negative studies in this review and the high number that did not take into account or describe contextual factors may suggest that taking workplace context into account in the design and evaluation of an intervention may be an important but often neglected aspect of such interventions. The St-Vincent et al model suggests that intervention effectiveness is expected to be context-specific and likely dependent, in part, on the level of commitment and buy-in of workplace stakeholders, which may be influenced by the process of involving workplace stakeholders at various stages of the intervention. We conclude on moderate evidence for the effectiveness of supplementary breaks in reducing musculoskeletal symptom intensity. The evidence was of low to very low quality for the other types of interventions studied. Better quality studies are needed to allow definitive conclusions to be drawn on the effectiveness of work organizational or psychosocial interventions to prevent or reduce WMSD. The results of this review are relevant to occupational health practitioners, public health and occupational health authorities responsible for occupational disease prevention, as well as researchers planning to conduct WMSD prevention intervention studies. This study is part of a series conducted by the Scientific Group on Work-related Musculoskeletal Disorders (SG-WMSD) of the Quebec Institute of Public Health (INSPQ). We thank members of the Working Group on WMSD and Organizational and Psychosocial Risk Factors and members of the SG-WMSD for insightful discussions during various stages of this work. We would like to thank Vicky Tessier, senior information scientist and librarian at the INSPQ, for her considerable expertise and assistance in the design and execution of the search strategies. We wish to express our appreciation to Marie-Pascale Sassine, scientific head of the Occupational Health Unit at the INSPQ, for her strategic guidance and support of this project, and to Marie-Cécile Gladel and Faïza Lazreg for their administrative and organizational support. The Quebec Public Health Network in Occupational Health (Réseau de santé publique en santé au travail, RSPSAT) funded this study. The funder had no involvement in: (i) study design, (ii) collection, analysis and interpretation of the data, (iii) the writing of the manuscript, or (iv) the decision to submit the paper for publication. Vos, T, & GBD 2015 Disease and Injury Incidence and Prevalence Collaborators. (2016, Oct). Global, regional, and national incidence, prevalence, and years lived with disability for 310 diseases and injuries 1990-2015:a systematic analysis for the Global Burden of Disease Study 2015. Lancet, 388(10053), 1545-602, http://dx.doi.org/10.1016/S0140-6736(16)31678-6. Stock, S, Funes, A, Delisle, A, St-Vincent, M, Turcot, A, Messing, K, Vézina, M, Cloutier, E, Stock, S, et al. (Eds. ), & Troubles musculo-squelettiques [Chapter 9:Musculoskeletal disorders]. (2011). Enquête québécoise sur des conditions de travail, d'emploi, de santéet de sécuritédu travail (EQCOTESST) [Quebec Survey on Working and Employment Conditions and Occupational Health and Safety]. Montréal, Québec, Canada: Gouvernement du Québec, Institut de recherche Robert-Sauvéen santéet sécuritédu travail, Institut national de santépublique du Québec, Institut de la statistique du Québec. pp. 445-530, Report No.:R-691. Association of Workers' Compensation Boards of Canada. Online Community-Annual Key Statistical Measures Standard Report 2012. Extracted 5/4/2015. [Internet], Available from: http://aoc.awcbc.org/. Stock, S, Nicolakakis, N, Raïq, H, Messing, K, Lippel, K, & Turcot, A. (2014, Mar). Underreporting work absences for nontraumatic work-related musculoskeletal disorders to workers'compensation:results of a 2007-2008 survey of the Quebec working population. Am J Public Health, 104(3), e94-101, http://dx.doi.org/10.2105/AJPH.2013.301562. Michel, C, Arcand, R, Crevier, H, Dovonou, N, Martin, R, Pelletier, P, et al. (2010, Sep [cited 2017 Jun 19]). Portrait national des troubles musculosquelettiques (TMS). 1998-2007:TMS sous surveillance [A national portrait of musculoskeletal disorders (MSD), 1998-2007:MSD under surveillance] [Internet]. Institut national de santépublique du Québec, Agences de la santéet des services sociaux/Directions de santépublique, Report No. 1156. Available from: https://www.inspq.qc.ca/pdf/publications/1156_TMS1998-2007SousSurveillance.pdf. WorkSafeBC. 2013 Statistics:Serving British Columbians. [Internet], Available from: https://www.worksafebc.com/en/resources/about-us/annual-report-statistics/2013-stats. WorkplaceSafety & Insurance Board (WSIB). (2014). By the Numbers:2013 WSIB Statistical Report – Schedule 1. [Internet], Available from: www.wsibstatistics.ca/WSIB-StatisticalReport_S1.pdf. National Research Council (US) and Institute of Medicine. (2001). (US) Panel on Musculoskeletal Disorders and the Workplace. Musculoskeletal Disorders and the Workplace:Low Back and Upper Extremities, Washington (DC), National Academies Press (US), Available from: http://www.ncbi.nlm.nih.gov/books/NBK222440/. Lang, J, Ochsmann, E, Kraus, T, & Lang, JW. (2012, Oct). Psychosocial work stressors as antecedents of musculoskeletal problems:a systematic review and meta-analysis of stability-adjusted longitudinal studies. Soc Sci Med, 75(7), 1163-74, http://dx.doi.org/10.1016/j.socscimed.2012.04.015. Hauke, A, Flintrop, J, Brun, E, & Rugulies, R. (2011). The impact of work-related psychosocial stressors on the onset of musculoskeletal disorders in specific body regions:A review and meta-analysis of 54 longitudinal studies. Work Stress, 25(3), 243-56, http://dx.doi.org/10.1080/02678373.2011.614069. da, Costa BR, & Vieira, ER. (2010, Mar). Risk factors for work-related musculoskeletal disorders:A systematic review of recent longitudinal studies. Am J Ind Med, 53(3), 285-323, http://dx.doi.org/10.1002/ajim.20750. Macfarlane, GJ, Pallewatte, N, Paudyal, P, Blyth, FM, Coggon, D, Crombez, G, et al. (2009, Jun). Evaluation of work-related psychosocial factors and regional musculoskeletal pain:results from a EULAR Task Force. Ann Rheum Dis, 68(6), 885-91, http://dx.doi.org/10.1136/ard.2008.090829. Bongers, PM, IJmker, S, van den Heuvel, S, & Blatter, BM. (2006, Sep). Epidemiology of work related neck and upper limb problems:psychosocial and personal risk factors (part I) and effective interventions from a bio behavioural perspective (part II). J Occup Rehabil, 16(3), 279-302, http://dx.doi.org/10.1007/s10926-006-9044-1. Moon, S, Sauter, SL, & Beyond Biomechanics:Psychosocial Aspects of Musculoskeletal Disorders in Office Work. (1996). Taylor & Francis Ltd. USA: Moon S, Sauter SL. p. 275. Finestone, HM, Alfeeli, A, & Fisher, WA. (2008, Nov-Dec). Stress-induced physiologic changes as a basis for the biopsychosocial model of chronic musculoskeletal pain:a new theory? Clin J Pain, 24(9), 767-75, http://dx.doi.org/10.1097/AJP.0b013e3181790342. Kiecolt-Glaser, JK, Gouin, JP, & Hantsoo, L. (2010, Sep). Close relationships, inflammation, and health. Neurosci Biobehav Rev, 35(1), 33-8, http://dx.doi.org/10.1016/j.neubiorev.2009.09.003. Stock, S, Nicolakakis, N, Messing, K, Turcot, A, & Raiq, H. (2013). Quelle est la relation entre les troubles musculo-squelettiques (TMS) liés au travail et les facteurs psychosociaux? Survol de diverses conceptions des facteurs psychosociaux du travail et proposition d'un nouveau modèle de la genèse des TMS [What is the relation between work-related musculoskeletal disorders and psychosocial factors? An overview of various conceptualizations of psychosocial work factors and proposal of a new model of MSD development]. Perspect Interdiscip Sur Trav SantéInterdiscip Perspect Work Health [Internet], 15-2, Available from: http://pistes.revues.org/3407. DeJoy, DM, Wilson, MG, Vandenberg, RJ, McGrath-Higgins, AL, & Griffin-Blake, CS. (2010, Mar). Assessing the impact of healthy work organization intervention. J Occup Organ Psychol, 83(1), 139-65, http://dx.doi.org/10.1348/096317908X398773. Westgaard, RH, & Winkel, J. (2011, Jan). Occupational musculoskeletal and mental health:significance of rationalization and opportunities to create sustainable production systems - A systematic review. Appl Ergon, 42(2), 261-96, http://dx.doi.org/10.1016/j.apergo.2010.07.002. Hagberg, M, Silverstein, B, Wells, R, Smith, M, Hendrick, H, Carayon, P, et al. (1995). Work-related musculoskeletal disorders (WMSDs):A reference book for prevention. London: Taylor & Francis. Sauter, SL, Brightwell, SW, Colligan, MJ, Hurrell, JJ, Jr, Katz, TM, LeGrande, DE, et al. (2002, Apr). The changing organization of work and the safety and health of working people:knowledge gaps and research directions.  Cincinnati, OH, USA: Department of Health and Human Services, Centers for Disease Control and Prevention, National Institute for Occupational Safety and Health (NIOSH). pp. 2002-116. Kristensen, TS, Hannerz, H, Høgh, A, & Borg, V. (2005, Dec). The Copenhagen Psychosocial Questionnaire--a tool for the assessment and improvement of the psychosocial work environment. Scand J Work Environ Health, 31(6), 438-49, http://dx.doi.org/10.5271/sjweh.948. Siegrist, J, Starke, D, Chandola, T, Godin, I, Marmot, M, Niedhammer, I, et al. (2004, Apr). The measurement of effort-reward imbalance at work:European comparisons. Soc Sci Med, 58(8), 1483-99, http://dx.doi.org/10.1016/S0277-9536(03)00351-4. Driessen, MT, Proper, KI, van Tulder, MW, Anema, JR, Bongers, PM, & van der Beek, AJ. (2010, Apr). The effectiveness of physical and organisational ergonomic interventions on low back pain and neck pain:a systematic review. Occup Environ Med, 67(4), 277-85, http://dx.doi.org/10.1136/oem.2009.047548. Bambra, CL, Whitehead, MM, Sowden, AJ, Akers, J, & Petticrew, MP. (2008, May). Shifting schedules:the health effects of reorganizing shift work. Am J Prev Med, 34(5), 427-34, http://dx.doi.org/10.1016/j.amepre.2007.12.023. St-Vincent, M, Vézina, N, Bellemare, M, Denis, D, Ledoux, E, & Imbeau, D. (2011). L'intervention en ergonomie [Ergonomic intervention]. Québec, QC: Éditions Multimonde. St-Vincent, M, Vézina, N, Bellemare, M, Denis, D, Ledoux, E, & Imbeau, D. (2014). Ergonomic Intervention [Internet], Montréal, QC, Institut de recherche Robert-Sauvéen santéet en sécuritédu travail (IRSST), Available from: http://www.irsst.qc.ca/publications-et-outils/publication/i/100778/n/ergonomic-intervention-en. Daniellou, F. (2005). The French-speaking ergonomists'approach to work activity:cross-influences of field intervention and conceptual models. Theor Issues Ergon Sci, 6(5), 409-27, http://dx.doi.org/10.1080/14639220500078252. Guérin, F, Laville, A, Daniellou, F, Duraffourg, J, & Kerguelen, A. (1997). Comprendre le travail pour le transformer :la pratique de l'ergonomie [Understanding work to transform it:the practice of ergonomics]. Toulouse, France: Agence nationale pour l'amélioration des conditions de travail (Anact). Daniellou, F, & Rabardel, P. (2005, Sep). Activity-oriented approaches to ergonomics:some traditions and communities. Theor Issues Ergon Sci, 6(5), 353-7, http://dx.doi.org/10.1080/14639220500078351. Centre for Reviews and Dissemination. (2008). Systematic Reviews:CRD's guidance for undertaking reviews in health care [Internet], England, University of York, Available from: https://www.york.ac.uk/media/crd/Systematic_Reviews.pdf. Higgins, JP, & Green, S. (2011). Cochrane Handbook for Systematic Reviews of Interventions [Internet]. Version 5.1.0, Available from: http://handbook.cochrane.org. Kristensen, TS. (2005, Mar). Intervention studies in occupational epidemiology. Occup Environ Med, 62(3), 205-10, http://dx.doi.org/10.1136/oem.2004.016097. Neumann, WP, Eklund, J, Hansson, B, & Lindbeck, L. (2010, Jan). Effect assessment in work environment interventions:a methodological reflection. Ergonomics, 53(1), 130-7, http://dx.doi.org/10.1080/00140130903349914. Rivilis, I, Van, Eerd D, Cullen, K, Cole, DC, Irvin, E, Tyson, J, et al. (2008, May). Effectiveness of participatory ergonomic interventions on health outcomes:a systematic review. Appl Ergon, 39(3), 342-58, http://dx.doi.org/10.1016/j.apergo.2007.08.006. Brewer, S, Van, Eerd D, Amick, BC, 3rd, Irvin, E, Daum, KM, Gerr, F, et al. (2006, Sep). Workplace interventions to prevent musculoskeletal and visual symptoms and disorders among computer users:A systematic review. J Occup Rehabil, 16(3), 325-58, http://dx.doi.org/10.1007/s10926-006-9031-6. Guyatt, GH, Oxman, AD, Kunz, R, Brozek, J, Alonso-Coello, P, Rind, D, et al., & GRADE guidelines 6. (2011, Dec). Rating the quality of evidence--imprecision. J Clin Epidemiol, 64(12), 1283-93, http://dx.doi.org/10.1016/j.jclinepi.2011.01.012. Guyatt, GH, Oxman, AD, Kunz, R, Woodcock, J, Brozek, J, Helfand, M, et al., & GRADE Working Group. (2011, Dec). GRADE guidelines:8. Rating the quality of evidence--indirectness. J Clin Epidemiol, 64(12), 1303-10, http://dx.doi.org/10.1016/j.jclinepi.2011.04.014. Guyatt, GH, Oxman, AD, Kunz, R, Woodcock, J, Brozek, J, Helfand, M, et al., & GRADE Working Group. (2011, Dec). GRADE guidelines:7. Rating the quality of evidence--inconsistency. J Clin Epidemiol, 64(12), 1294-302, http://dx.doi.org/10.1016/j.jclinepi.2011.03.017. Guyatt, GH, Oxman, AD, Montori, V, Vist, G, Kunz, R, Brozek, J, et al., & GRADE guidelines:5. (2011, Dec). Rating the quality of evidence--publication bias. J Clin Epidemiol, 64(12), 1277-82, http://dx.doi.org/10.1016/j.jclinepi.2011.01.011. Guyatt, GH, Oxman, AD, Sultan, S, Glasziou, P, Akl, EA, Alonso-Coello, P, et al., & GRADE Working Group. (2011, Dec). GRADE guidelines:9. Rating up the quality of evidence. J Clin Epidemiol, 64(12), 1311-6, http://dx.doi.org/10.1016/j.jclinepi.2011.06.004. Guyatt, GH, Oxman, AD, Vist, G, Kunz, R, Brozek, J, Alonso-Coello, P, et al., & GRADE guidelines:4. (2011, Apr). Rating the quality of evidence--study limitations (risk of bias). J Clin Epidemiol, 64(4), 407-15, http://dx.doi.org/10.1016/j.jclinepi.2010.07.017. Schünemann, H, Brożek, J, Guyatt, G, & Oxman, A. Handbook for grading the quality of evidence and the strength of recommendations using the GRADE approach. Online handbook updated October 2013, [Internet]. Available from: http://gdt.guidelinedevelopment.org/app/handbook/handbook.html#h.hnedbo8gqjqk. Balshem, H, Helfand, M, Schünemann, HJ, Oxman, AD, Kunz, R, Brozek, J, et al., & GRADE guidelines:3. (2011, Apr). Rating the quality of evidence. J Clin Epidemiol, 64(4), 401-6, http://dx.doi.org/10.1016/j.jclinepi.2010.07.015. Guyatt, G, Oxman, AD, Akl, EA, Kunz, R, Vist, G, Brozek, J, et al., & GRADE guidelines:1. (2011, Apr). Introduction-GRADE evidence profiles and summary of findings tables. J Clin Epidemiol, 64(4), 383-94, http://dx.doi.org/10.1016/j.jclinepi.2010.04.026. Moher, D, Liberati, A, Tetzlaff, J, Altman, DG, & PRISMA Group. (2009, Aug 18). Preferred reporting items for systematic reviews and meta-analyses:the PRISMA statement. Ann Intern Med, 151(4), 264-9, W64. Haukka, E, Leino-Arjas, P, Viikari-Juntura, E, Takala, EP, Malmivaara, A, Hopsu, L, et al. (2008, Dec). A randomised controlled trial on whether a participatory ergonomics intervention could prevent musculoskeletal disorders. Occup Environ Med, 65(12), 849-56, http://dx.doi.org/10.1136/oem.2007.034579. Haukka, E, Pehkonen, I, Leino-Arjas, P, Viikari-Juntura, E, Takala, EP, Malmivaara, A, et al. (2010, Mar). Effect of a participatory ergonomics intervention on psychosocial factors at work in a randomised controlled trial. Occup Environ Med, 67(3), 170-7, http://dx.doi.org/10.1136/oem.2008.043786. Driessen, MT, Anema, JR, Proper, KI, Bongers, PM, & van der Beek, AJ. (2008, Oct). Stay@Work:Participatory Ergonomics to prevent low back and neck pain among workers:design of a randomised controlled trial to evaluate the (cost-)effectiveness. BMC Musculoskelet Disord, 9(1), 145, http://dx.doi.org/10.1186/1471-2474-9-145. Driessen, MT, Proper, KI, Anema, JR, Knol, DL, Bongers, PM, & van der Beek, AJ. (2011, Sep). Participatory ergonomics to reduce exposure to psychosocial and physical risk factors for low back pain and neck pain:results of a cluster randomised controlled trial. Occup Environ Med, 68(9), 674-81, http://dx.doi.org/10.1136/oem.2010.056739. Ronald, LA, Yassi, A, Spiegel, J, Tate, RB, Tait, D, & Mozel, MR. (2002, Mar). Effectiveness of installing overhead ceiling lifts. Reducing musculoskeletal injuries in an extended care hospital unit. AAOHN J, 50(3), 120-7. Chhokar, R, Engst, C, Miller, A, Robinson, D, Tate, RB, & Yassi, A. (2005, Mar). The three-year economic benefits of a ceiling lift intervention aimed to reduce healthcare worker injuries. Appl Ergon, 36(2), 223-9, http://dx.doi.org/10.1016/j.apergo.2004.10.008. Faucett, J, Meyers, J, Miles, J, Janowitz, I, & Fathallah, F. (2007, Mar). Rest break interventions in stoop labor tasks. Appl Ergon, 38(2), 219-26, http://dx.doi.org/10.1016/j.apergo.2006.02.003. von Thiele, Schwarz U, Lindfors, P, & Lundberg, U. (2008, Jun). Health-related effects of worksite interventions involving physical exercise and reduced workhours. Scand J Work Environ Health, 34(3), 179-88, http://dx.doi.org/10.5271/sjweh.1227. Galinsky, T, Swanson, N, Sauter, S, Dunkin, R, Hurrell, J, & Schleifer, L. (2007, Jul). Supplementary breaks and stretching exercises for data entry operators:a follow-up field study. Am J Ind Med, 50(7), 519-27, http://dx.doi.org/10.1002/ajim.20472. Mclean, L, Tingley, M, Scott, RN, & Rickards, J. (2001, Jun). Computer terminal work and the benefit of microbreaks. Appl Ergon, 32(3), 225-37, http://dx.doi.org/10.1016/S0003-6870(00)00071-5. Laing, AC, Cole, DC, Theberge, N, Wells, RP, Kerr, MS, & Frazer, MB. (2007, Jul). Effectiveness of a participatory ergonomics intervention in improving communication and psychosocial exposures. Ergonomics, 50(7), 1092-109, http://dx.doi.org/10.1080/00140130701308708. Gilbert-Ouimet, M, Brisson, C, Vézina, M, Trudel, L, Bourbonnais, R, Masse, B, et al. (2011). Intervention study on psychosocial work factors and mental health and musculoskeletal outcomes. Healthc Pap, 11(Spec No), 47-66, http://dx.doi.org/10.12927/hcpap.2011.22410. Caspi, CE, Dennerlein, JT, Kenwood, C, Stoddard, AM, Hopcia, K, Hashimoto, D, et al. (2013, Dec). Results of a pilot intervention to improve health and safety for health care workers. J Occup Environ Med, 55(12), 1449-55, http://dx.doi.org/10.1097/JOM.0b013e3182a7e65a. Yassi, A, Cooper, JE, Tate, RB, Gerlach, S, Muir, M, Trottier, J, et al. (2001, Aug). A randomized controlled trial to prevent patient lift and transfer injuries of health care workers. Spine, 26(16), 1739-46, http://dx.doi.org/10.1097/00007632-200108150-00002. Eklöf, M, & Hagberg, M. (2006, Mar). Are simple feedback interventions involving workplace data associated with better working environment and health? A cluster randomized controlled study among Swedish VDU workers. Appl Ergon, 37(2), 201-10, http://dx.doi.org/10.1016/j.apergo.2005.04.003. Driessen, MT, Proper, KI, Anema, JR, Knol, DL, Bongers, PM, & van der Beek, AJ. (2011, Sep). The effectiveness of participatory ergonomics to prevent low-back and neck pain –results of a cluster randomized controlled trial. Scand J Work Environ Health, 37(5), 383-93, http://dx.doi.org/10.5271/sjweh.3163. Laing, AC, Frazer, MB, Cole, DC, Kerr, MS, Wells, RP, & Norman, RW. (2005, Feb). Study of the effectiveness of a participatory ergonomics intervention in reducing worker pain severity through physical exposure pathways. Ergonomics, 48(2), 150-70, http://dx.doi.org/10.1080/00140130512331325727. Faucett, J, Meyers, J, Tejeda, D, Janowitz, I, Miles, J, & Kabashima, J. (2001, Aug). An instrument to measure musculoskeletal symptoms among immigrant Hispanic farmworkers:validation in the nursery industry. J Agric Saf Health, 7(3), 185-98, http://dx.doi.org/10.13031/2013.5442. Dababneh, AJ, Swanson, N, & Shell, RL. (2001, Feb). Impact of added rest breaks on the productivity and well being of workers. Ergonomics, 44(2), 164-74, http://dx.doi.org/10.1080/00140130121538. Wergeland, EL, Veiersted, B, Ingre, M, Olsson, B, Åkerstedt, T, Bjørnskau, T, et al. (2003, Feb). A shorter workday as a means of reducing the occurrence of musculoskeletal disorders. Scand J Work Environ Health, 29(1), 27-34, http://dx.doi.org/10.5271/sjweh.701. Galinsky, TL, Swanson, NG, Sauter, SL, Hurrell, JJ, & Schleifer, LM. (2000, May). A field study of supplementary rest breaks for data-entry operators. Ergonomics, 43(5), 622-38, http://dx.doi.org/10.1080/001401300184297. Hoe, VC, Urquhart, DM, Kelsall, HL, & Sim, MR. (2012). Ergonomic design and training for preventing work-related musculoskeletal disorders of the upper limb and neck in adults. The Cochrane Collaboration, editor. Cochrane Database of Systematic Reviews [Internet], Chichester, UK, John Wiley & Sons, Ltd, Available from: http://doi.wiley.com/10.1002/14651858.CD008570.pub2. Tullar, JM, Brewer, S, Amick, BC, 3rd, Irvin, E, Mahood, Q, Pompeii, LA, et al. (2010, Jun). Occupational safety and health interventions to reduce musculoskeletal symptoms in the health care sector. J Occup Rehabil, 20(2), 199-219, http://dx.doi.org/10.1007/s10926-010-9231-y. Collins, JW, Wolf, L, Bell, J, & Evanoff, B. (2004, Aug). An evaluation of a “best practices” musculoskeletal injury prevention program in nursing homes. Inj Prev, 10(4), 206-11, http://dx.doi.org/10.1136/ip.2004.005595. Smedley, J, Trevelyan, F, Inskip, H, Buckle, P, Cooper, C, & Coggon, D. (2003, Apr). Impact of ergonomic intervention on back pain among nurses. Scand J Work Environ Health, 29(2), 117-23, http://dx.doi.org/10.5271/sjweh.713. Carrivick, PJ, Lee, AH, & Yau, KK. (2002). Effectiveness of a Participatory Workplace Risk Assessment Team in Reducing the Risk and Severity of Musculoskeletal Injury. J Occup Health, 44(4), 221-5, http://dx.doi.org/10.1539/joh.44.221. Guthrie, PF, Westphal, L, Dahlman, B, Berg, M, Behnam, K, & Ferrell, D. (2004). A patient lifting intervention for preventing the work-related injuries of nurses. Work, 22(2), 79-88. Nelson, A, Matz, M, Chen, F, Siddharthan, K, Lloyd, J, & Fragala, G. (2006, Aug). Development and evaluation of a multifaceted ergonomics program to prevent injuries associated with patient handling tasks. Int J Nurs Stud, 43(6), 717-33, http://dx.doi.org/10.1016/j.ijnurstu.2005.09.004. Krungkraipetch, N, Krungkraipetch, K, Kaewboonchoo, O, Arphorn, S, & Sim, M. (2012, Mar). Interventions to prevent musculoskeletal disorders among informal sector workers:a literature review. Southeast Asian J Trop Med Public Health, 43(2), 510-25. Vézina, N, & Stock, SR. (2005). L'ergonomie et les chiffres de la santéau travail :ressources, tensions et pièges [Ergonomics and occupational health statistics:resources, tensions and pitfalls]. Octarès. Toulouse, France: Volkoff, S. Collaboration interdisciplinaire dans le cas d'une intervention ergonomique [Interdisciplinary collaboration in an ergonomic intervention]. Pehkonen, I, Takala, EP, Ketola, R, Viikari-Juntura, E, Leino-Arjas, P, Hopsu, L, et al. (2009, Jan). Evaluation of a participatory ergonomic intervention process in kitchen work. Appl Ergon, 40(1), 115-23, http://dx.doi.org/10.1016/j.apergo.2008.01.006. Denis, D, St-Vincent, M, Imbeau, D, Jetté, C, & Nastasia, I. (2008, Jan). Intervention practices in musculoskeletal disorder prevention:a critical literature review. Appl Ergon, 39(1), 1-14, http://dx.doi.org/10.1016/j.apergo.2007.02.002. Kuijer, PP, van der Beek, AJ, van Dieën, JH, Visser, B, & Frings-Dresen, MH. (2005, May). Effect of job rotation on need for recovery, musculoskeletal complaints, and sick leave due to musculoskeletal complaints:a prospective study among refuse collectors. Am J Ind Med, 47(5), 394-402, http://dx.doi.org/10.1002/ajim.20159. Engkvist, IL. (2006, Mar). Evaluation of an intervention comprising a no lifting policy in Australian hospitals. Appl Ergon, 37(2), 141-8, http://dx.doi.org/10.1016/j.apergo.2005.05.008. Engst, C, Chhokar, R, Miller, A, Tate, RB, & Yassi, A. (2005, Feb). Effectiveness of overhead lifting devices in reducing the risk of injury to care staff in extended care facilities. Ergonomics, 48(2), 187-99, http://dx.doi.org/10.1080/00140130412331290826. Engst, C, Chhokar, R, Robinson, D, Earthy, A, Tate, RB, & Yassi, A. (2004, Oct). Implementation of a scheduled toileting program in a long term care facility:evaluating the impact on injury risk to caregiving staff. AAOHN J, 52(10), 427-35. Black, TR, Shah, SM, Busch, AJ, Metcalfe, J, & Lim, HJ. (2011, Apr). Effect of transfer, lifting, and repositioning (TLR) injury prevention program on musculoskeletal injury among direct care workers. J Occup Environ Hyg, 8(4), 226-35, http://dx.doi.org/10.1080/15459624.2011.564110. Lee, SJ, Lee, JH, & Gershon, RR. (2015, Jun). Musculoskeletal Symptoms in Nurses in the Early Implementation Phase of California's Safe Patient Handling Legislation. Res Nurs Health, 38(3), 183-93, http://dx.doi.org/10.1002/nur.21657. Donaldson, AW. (2000, Feb). Lift team intervention:A six-year picture. J Healthc Saf Compliance Infect Control, 4(2), 65-8. Charney, W, Simmons, B, Lary, M, & Metz, S. (2006, Aug). Zero lift programs in small rural hospitals in Washington state:reducing back injuries among health care workers. AAOHN J, 54(8), 355-8, http://dx.doi.org/10.1177/216507990605400803. Kutash, M, Short, M, Shea, J, & Martinez, M. (2009, Apr). The lift team's importance to a successful safe patient handling program. J Nurs Adm, 39(4), 170-5, http://dx.doi.org/10.1097/NNA.0b013e31819c9cfd. Sedlak, CA, Doheny, MO, Jones, SL, & Lavelle, C. (2009, Nov-Dec). The clinical nurse specialist as change agent:reducing employee injury and related costs. Clin Nurse Spec, 23(6), 309-13, http://dx.doi.org/10.1097/NUR.0b013e3181bc30b5.